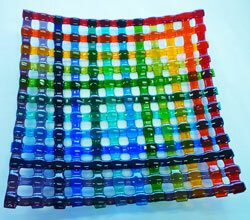 Create an 8 inch square basket weave slumped plate! Create an illusion and enjoy your finished basket weave plate. No previous skills necessary. We will teach you how to strip cut glass and layout a beautiful project. 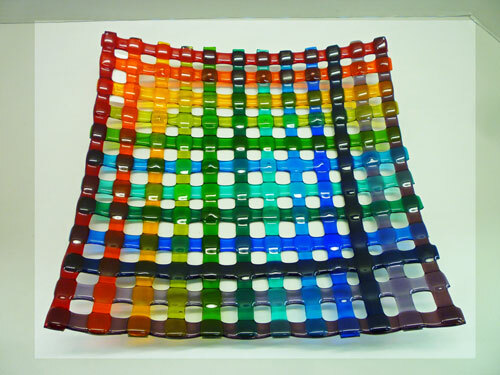 Students may create on top of their basket weave. Some will use precut "W"'s or "G"'s or shamrocks or vitrograph or wherever your imagination leads you. Includes slump.